Narcotics and street drugs are readily available to anyone and everyone who is looking for them. Narcotics crimes no longer revolve around the street or recreational drugs such as marijuana, cocaine or methamphetamine. Narcotics and medications typically used for medicinal purposes are now as common in drug crimes as marijuana or cocaine. Many of these medications are obtained in the home. As technology progresses, possessing forged prescriptions is much more common than it was a decade ago. If you are not a doctor, being in possession of a prescription pad is a crime that can have serious legal penalties in the state of Delaware. If you, your child, a loved one or family member have been charged with forging prescriptions, it may make sense to consult with a skilled Delaware Drug Crime Defense Attorney. Call the Law Offices of Murray, Phillips & Gay at 302-855-9300 or 302-422-9300. Or, email our Defense Attorneys. What Is A Forged Prescription? Possessing a forged prescription is a crime in the state of Delaware. By definition, forging a prescription is illegally acquiring or receiving pharmaceuticals for either personal use and/or profit. Personal use means that you intend to ingest the medication or compounds for the effect. The desired effect is usually getting high or intoxicated. Even if you have a pain that the pill or medication relieves it is still a crime to take the medication without a legitimate prescription. Acquiring them for profit means you plan to sell or distribute them which is a very serious crime. There are numerous ways to forge a prescription such as blatantly writing your own prescription on a blank pad and or increasing quantity on an otherwise authentic prescription. A qualified Delaware Defense Attorney can help you if you have been accused of forging a prescription. See recent arrests reports for forged prescriptions in Delaware. § 841C. Possession or theft of a prescription form or a pad. (a) A person in possession of a blank prescription form or pad who is not a practitioner as defined in this section shall be guilty of a class G felony. “Possession” in addition to its ordinary meaning, includes located on or about the defendant’s person, premises, belongings, vehicle or otherwise within the defendant’s reasonable control. (b) A person is guilty of theft of a blank prescription form or pad when the person is not a practitioner as defined in this section and takes, exercises control over, obtains or receives, produces or reproduces any facsimile or counterfeit version of, or transfers, uses, gives, or sells any copies, facsimiles or counterfeit versions, a prescription form or pad of a practitioner with the intent to deprive the practitioner of the use thereof or to facilitate the commission of drug diversion. a. A physician, dentist, veterinarian, scientific investigator or other person licensed, registered or otherwise permitted to distribute, dispense, conduct research with respect to or to administer a controlled or noncontrolled substance in the course of professional practice or research in this State. b. A pharmacy, hospital or other institution licensed, registered, or otherwise permitted to distribute, dispense, conduct research with respect to or to administer a controlled or noncontrolled substance in the course of professional practice or research in this State. (2) Theft of a blank prescription form or pad is a class F felony. 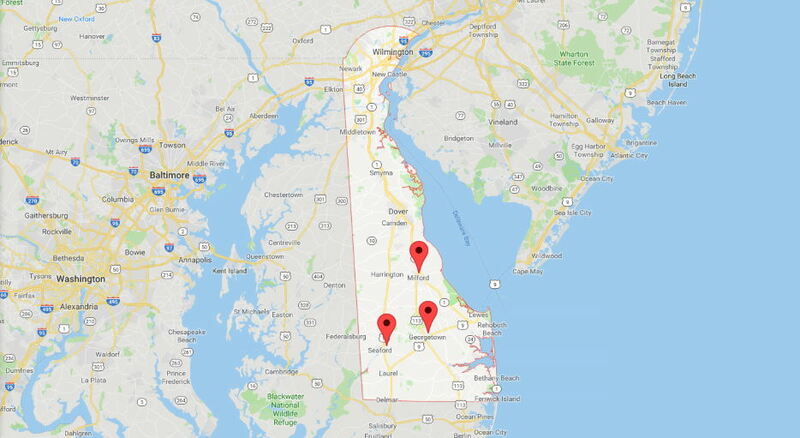 In Delaware and other states, it is illegal to be in possession of, deliver or sell prescription drugs such as painkillers, anti-anxiety medications, hypnotics, muscle relaxers as well as erectile dysfunction medications. Being arrested for, and charged with any type of drug crime is very serious in Delaware. Depending on the circumstances surrounding your arrest you may be charged with either a misdemeanor or felony drug charge in Delaware. If you have been arrested for being in possession of prescription drugs please understand that you do have rights and they need to be protected. Call Georgetown Delaware Drug Crime Attorneys Murray, Phillips & Gay regarding your case. We can be contacted at 302-855-9300. You may also contact us via email here. 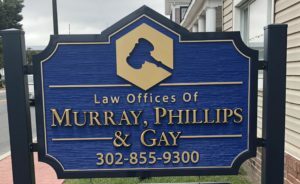 Mr. Phillips has an office in Georgetown, Delaware just a few blocks from the courthouse for your convenience. He serves those charged with drug crimes throughout all of Sussex County, Delaware. Let him fight for your rights. See recent arrests for possession of prescription drugs in Delaware. Many of the drugs listed above are used casually or socially at bars, parties, clubs and at the Delaware beaches such as Lewes, Rehoboth Beach, and Dewey Beach. Being caught with these, with or without the intent to deliver or sell can bring very extreme, very costly and life-altering consequences on your life. The penalties and consequences of being convicted of possessing illegally obtained prescription drugs can be very severe. There will be fines, fees, court costs, and attorneys fees. You may be placed on probation, house arrest or put into a drug diversion program. You may also be subject to an extended jail sentence depending on the circumstances surrounding your arrest as well as your previous criminal history. Often, people are unaware they can be accused of DUI for driving while taking medications prescribed by a doctor. The fact is a large percentage of DUI cases in Delaware are related to prescription drugs such as Oxycontin. At the Law Offices of Murray, Phillips & Gay in Georgetown, we provide skilled legal representation for people accused of driving under the influence in Delaware. For a free initial consultation regarding your criminal charges, contact us today. We fully review all aspects of the criminal charges, considering technical and factual defenses. For example, police need a reason to stop you for DUI. Once they stop you, they must have probable cause that you committed a crime before they can search your vehicle or your person. If the police made mistakes during the investigation, we can file a motion to suppress the evidence. We will also fully evaluate the evidence against you, to determine whether a prosecutor will be able to prove guilt beyond a reasonable doubt. If the evidence doesn’t support a DUI conviction, we will aggressively defend your rights and interests. However, we also take a pragmatic approach to legal representation. If the evidence does support a DUI conviction, our focus will be on mitigating the long-term consequences of the allegations. Working with a criminal defense attorney doesn’t mean that you’ll avoid all the consequences of a DUI. It does mean that your rights will be protected, and you won’t be steamrolled by the prosecutor. Many people who are accused of driving under the influence in Delaware come from other states. We have extensive experience coordinating criminal defense representation from people who reside out-of-state. We are able to work effectively from a distance to reduce the number of trips someone accused of DUI has to make back to Delaware. If you have been accused of DUI based upon your use of prescription drugs, we would like to meet with you in person to discuss your case. 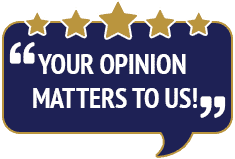 To schedule a free initial consultation at our office, please call 302-855-9300 or contact us through email. A drug crime conviction will hurt you now and in the future. It can severely impact you on many levels. These include your ability to get a job and your ability to further your academic career among other things. If you are caught with a forged prescription you can be charged with a felony. If convicted you will face administrative fees, court costs, fines, attorneys fees and possibly face jail time. Depending on your criminal history you may also be on formal or informal probation. While it is difficult to get your case dismissed working with an attorney can help ensure that you obtain the most favorable outcome possible. You can also rest assured that your rights, liberties, and reputation will be protected. A drug crime conviction will hurt you now and continue to haunt you for years to come. Being convicted of a drug crime can severely impact your ability to get a job and hinder your ability to further your academic standing among other things. If you have been charged with forging a prescription, contact a Delaware Narcotics Crime Defense Lawyer. Call the Law Offices of Murray, Phillips & Gay at 302-855-9300. Or, email our Defense Lawyers. 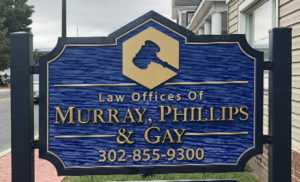 The Law Offices of Murray, Phillips & Gay serves those accused of crimes throughout all of central and lower Delaware.